Blockchain lawyer Andrew Hinkes is spoiling for a fight. The general counsel at investment bank Athena Blockchain and an adjunct business and law professor at New York University, Hinkes believes token issuers will soon start pushing back against regulatory enforcement actions and demanding clearer guidance, after mostly taking it on the chin for the last year or so. And when that happens, he’ll be in their corner. Revealed exclusively to CoinDesk, Hinkes has joined the blockchain and digital currency practice of the law firm Carlton Fields, where he will focus on litigating cases for token sellers. “What we have seen so far is folks just settling with the regulators, but we have started seeing some companies that want to fight back or try to use the litigation process to get a better clarity on what their obligations are by challenging some of the positions taken by the regulators in court,” Hinkes told CoinDesk. A member of the blockchain community since 2014 and occasional CoinDesk op-ed contributor, Hinkes has been for years advising companies including token issuers, bitcoin ATM networks, investment funds and high-net-worth investors. Earlier in his career, though, he duked it out in court on behalf of corporate clients in construction, real estate and consumer fraud cases. 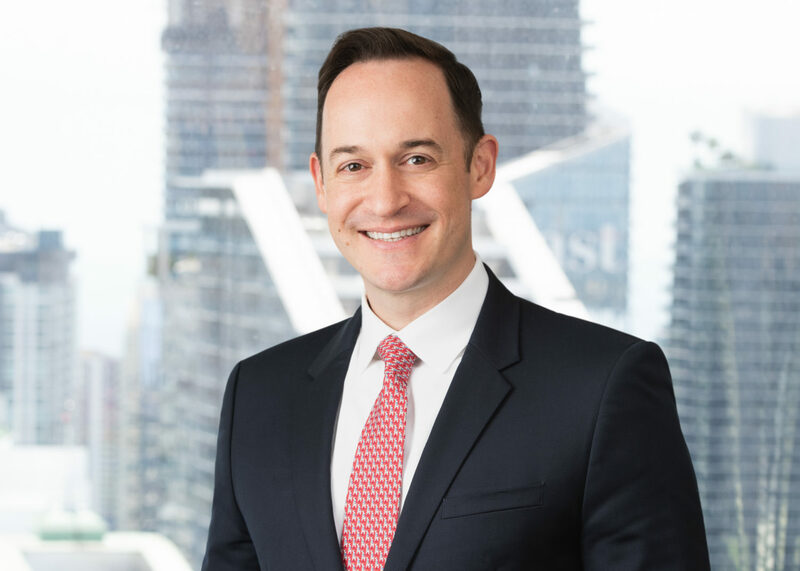 As such, he will act as “a bridge between our firm’s crypto regulation and corporate practice and our litigation practice,” said Justin S. Wales, the co-chair of Carlton Fields’ blockchain practice. “There is absolutely going to be more litigation in the space, both as defenses of regulatory enforcement and through civil litigation. We are already seeing this,” Whales said. Hinkes will keep his job at Athena Blockchain, the firm he joined last year that helps companies issue tokenized securities, and his professorships at NYU. “Obviously, there are ethical concerns when an attorney has a stake in both in a bank and a law firm. But in consultations with legal folks at Carlton Fields, we’re comfortable with appropriate disclosures to be made,” Hinkes said. As a harbinger of brawls to come, Hinkes cited the example of the startup Kik, which announced in January that it’s prepared to challenge the SEC in court to prove its initial coin offering (ICO) wasn’t a sale of unregistered securities. After watching the Securities and Exchange Commission come after the ICOs of 2017, newer projects are acting cautiously, launching token offerings in the form of STO and working closely with the regulators to avoid any troubles. But those who had already sold tokens in the past year or two don’t have this option anymore. The problem for the industry at the moment is that there is no comprehensive regulation to rely upon, Hinkes said. “The regulators, for the most part, have so far provided us with a bunch of orders that were written in the way to tell everyone what they expected to do, but it’s not guidance and it’s not a law,” he said. One way to clarify the situation would be for Congress or a state to issue a law about the legal status of token sales, but in the absence of that, the only other way to get more clarity is to challenge the regulators and their position in court, he added.